Fiat Chrysler has said it could review its Italian investment plan if Rome raises taxes on gasoline and diesel cars. DETROIT -- Fiat Chrysler Automobiles is reviewing its investment plan for Italy after the country approved taxes on the purchase of larger gasoline and diesel cars, CEO Mike Manley said. FCA said in late November it would spend more than 5 billion euros ($5.7 billion) on new models and engines in Italy over the next three years to try to make better use of factories and boost jobs and margins. "It certainly means it needs to be reviewed again. It's being reviewed at this moment," Manley told journalists on the sidelines of the Detroit auto show on Monday. "Until that review is finished I can't comment any further." FCA's Italian plans were intended to deliver on a strategy outlined by late boss Sergio Marchionne in June, when he committed to keep converting Italian plants to churn out higher-margin Alfa Romeos, Jeeps and Maseratis, as well as hybrid and electric vehicles, to protect jobs and lift profit. Manley said tariffs imposed by U.S. President Donald Trump's administration on steel and aluminum imports would add between $300 million and $350 million in extra costs for FCA in 2019. He said the partial U.S. government shutdown over spending for a wall sought by Republican Trump on the U.S.-Mexican border has delayed final certification of one of FCA's heavy-duty pickup trucks. Pickup trucks are the one of most profitable segments in the auto industry and are a major profit driver for FCA as it battles for market share against General Motors and Ford. "So I am concerned, clearly. Very concerned," Manley said. "If it (the shutdown) continues it will have an impact on the launch of heavy duty." "The earlier it can be resolved, clearly the better," he said. Manley, who took the helm at FCA last year after Marchionne's sudden death, also said that the automaker's robotics business, Comau, and castings unit, Teksid, were not for sale at the moment. "I'm focused on building value in those businesses. If I'm able to do that, that's going to give me options in the future," he said. 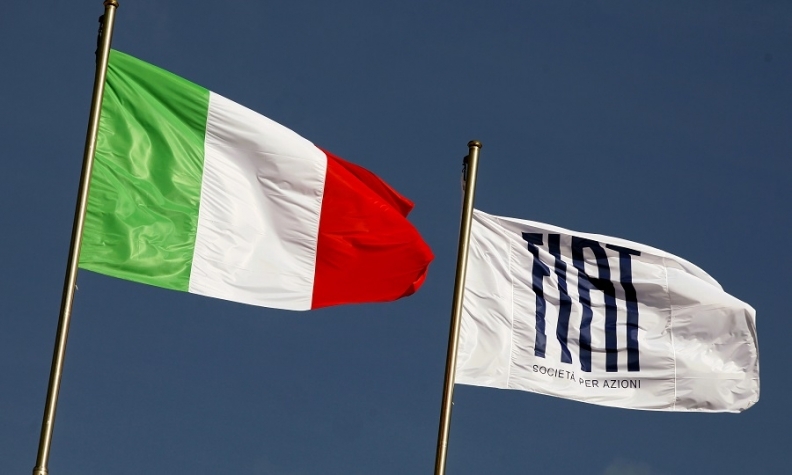 FCA last year agreed to sell its biggest parts maker, Magneti Marelli, to Japan's Calsonic Kansei, owned by U.S. private equity firm KKR, for 6.2 billion euros. That sparked renewed speculation that the smaller Comau and Teksid businesses could also go, especially after attracting interest from potential buyers in the past. "One thing I learned in 2018: you should never say never," Manley said. "Those businesses have value, there have been people that have talked to us about those businesses and I’ve been interested to hear what they have to say."